The Egyptian Central Bank dropped the Egyptian Pound’s (EGP) value by 48% and raised interest rates by 300 basis points for “one night only” as part of its efforts to re-balance the currency market. 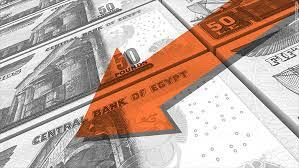 The decision has already yielded some results with the US dollar which was exchanged for 18.25 EGP plummeting to 13 EGP which is parallel to the newly pegged official rate. The stock market index jumped 8.3% with many stocks raising their 10% daily limits but the broader EGX 100 index gained only 3.6%. Egypt’s foreign reserves increased to $19.6 billion last month but that is less than 50% of what it was before the 2011 uprising that led to the end of the Mubarak regime. Written by: Jaber Ali on November 3, 2016. Posted by Jaber Ali on Nov 3 2016. Filed under Finance, Headlines, World News. You can follow any responses to this entry through the RSS 2.0. Both comments and pings are currently closed.